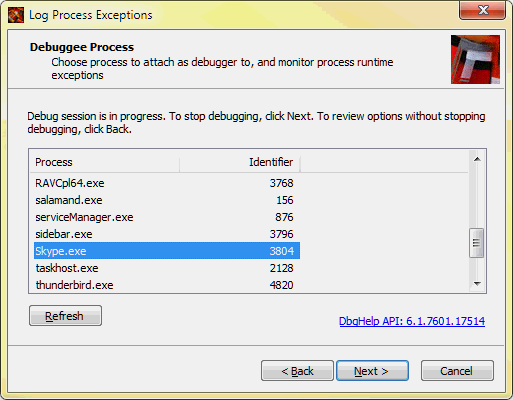 LogProcessExceptions utility implements a very basic debugger which attaches (see DebugActiveProcess on MSDN) to a running process and monitors its exceptions. 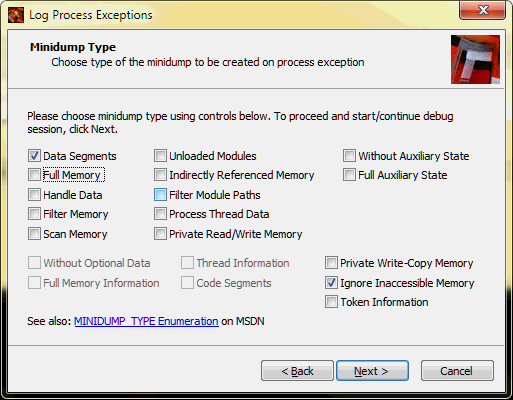 Once exception takes place the utility creates a minidump file for the process (see MiniDumpWriteDump on MSDN) so that exception condition could be investigated off-site using debugger. If you throw C++ exceptions in your C++ code in exceptional cases which indicate necessity to log the condition and possibly check it later, the utility will get the vital information for the application running at production location in environment without fully featured debugger (note that the utility is a simple download-and-run “wizard” style application, with no installation required), or will simply track the error letting the application continue execution without pretty much of an interruption. 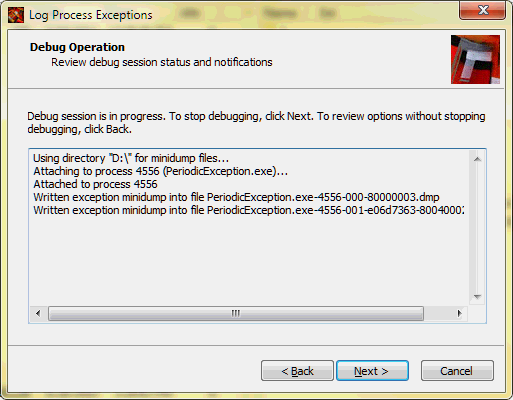 The tool will prompt for debuggee process, and follow with minidump type choices and the debugging operation. The utility is expected to work with Windows XP operating system and more recent.